'It’s better to kidnap one person like Bergdahl than kidnapping hundreds of useless people,' Taliban commander says. Concerns that the US's deal to swap five Taliban terrorists held in Guantanamo Bay for captive soldier Bowe Bergdahl have actualized Sunday, after two separate top-ranking Taliban officials told TIME magazine that the deal sets a precedent for more kidnappings. The US State Department announced the prisoner exchange earlier this month, sparking a rare videotaped response from Taliban leader Omar calling the swap "a victory for our people." The five Afghani Taliban prisoners are widely thought to be the most senior terrorists held by the US at Guantamano Bay, and concerns have been raised that their return could facilitate a major rise in terrorism in the volatile region. The five include Khairullah Khairkhwa, a governor of Afghanistan's Herat province alleged to have direct links to Osama Bin Laden; Noorullah Noor, senior Taliban military commander implicated in mass murder against Shia Muslims; Mohammad Fazl, also implicated in war crimes against Shia Muslims and the Taliban's deputy defense minister during the 2001 war with the US; Mohammad Nabi Omari, senior military and security commander; and Abdul Haq Wasiq, deputy chief of the Taliban's intelligence service, who was said to be a key player in the Taliban's alliances with other Islamist groups to fight the US. Controversy also continues over Bergdahl's role in the kidnapping, after evidence surfaced that the soldier had been a Taliban sympathizer and had deserted his base on more than one occasion. A media circus over Bergdahl's past has led to several death threats being levied against the Bergdahl family, according to Reuters, and federal authorities are sending a security detail to the family home in Hailey, Idaho to protect the family. In the meantime, new details are emerging about the condition of Bergdahl's captivity, according to several news outlets, defying early reports that the soldier had been on friendly terms with his captors and had even taught the Taliban badminton. Senior defense officials revealed to the Daily Beast Saturday that the soldier tried to escape his captors twice since being taken by the Taliban in 2009. After the first attempt, Bergdahl was found, exhausted, in a trench dug with his bare hands some three days' distance from his holding site; on his second attempt, he managed to escape as far away as a remote Pakistani village before being found. 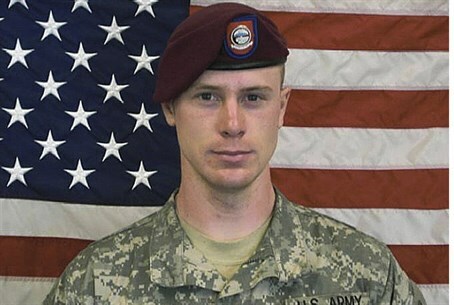 Taliban sources also told the news site that Bergdahl was physically abused during his time in captivity.